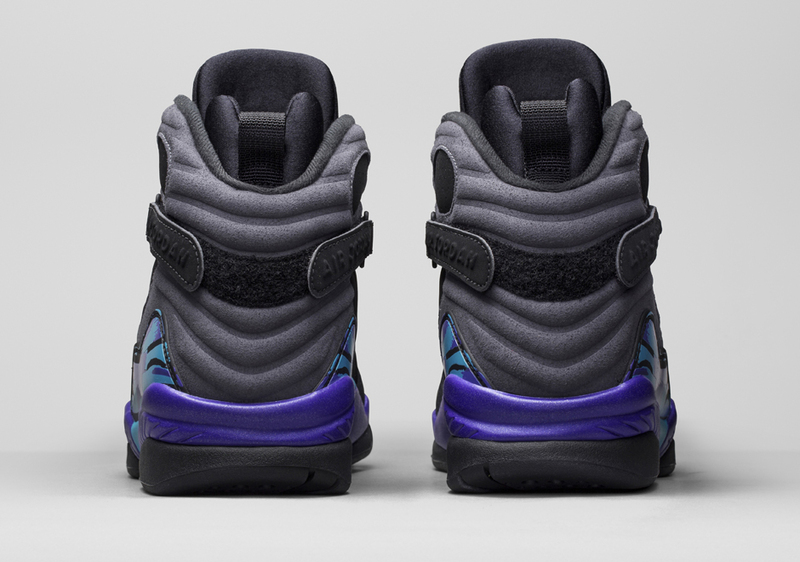 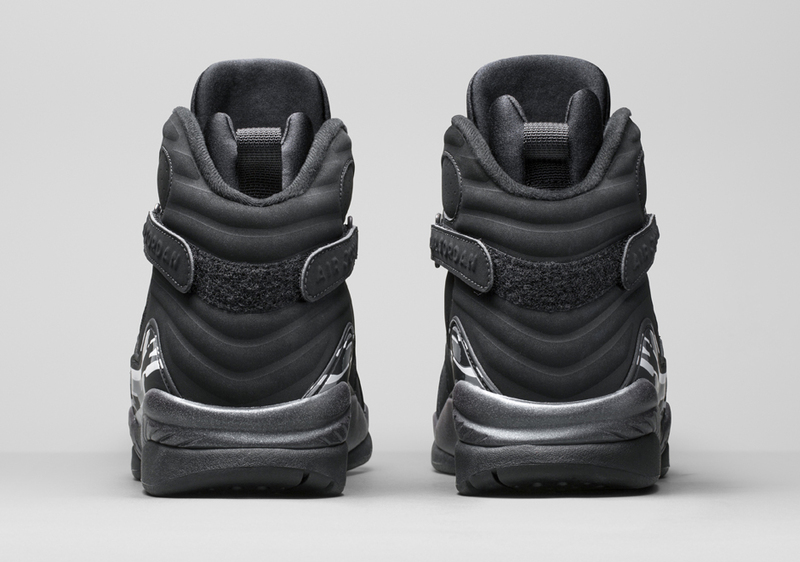 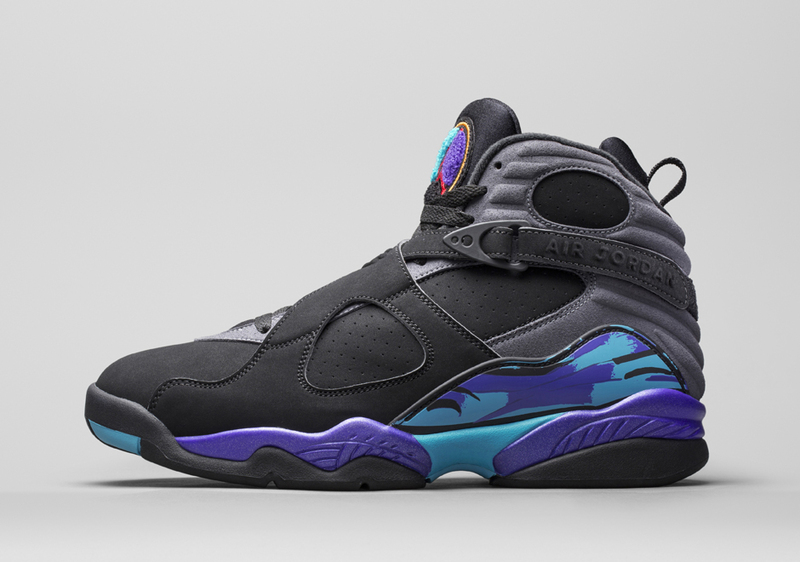 The Air Jordan 8 is returning for Holiday 2015 in a big way. 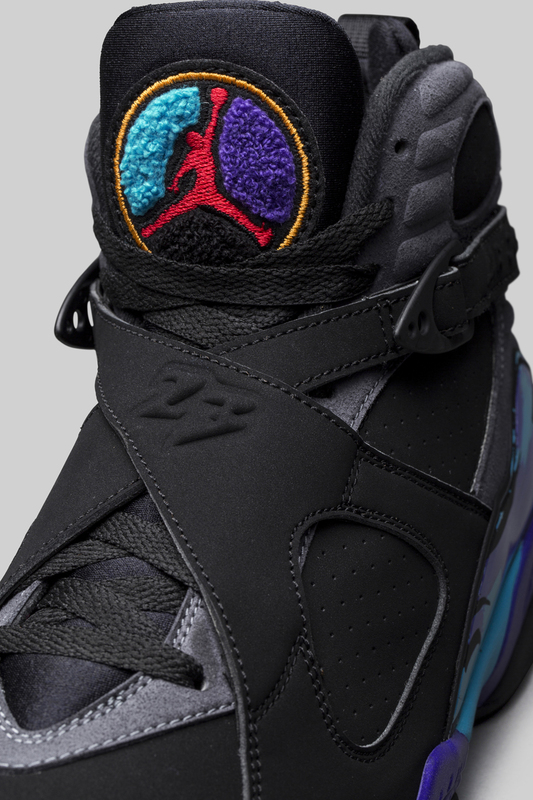 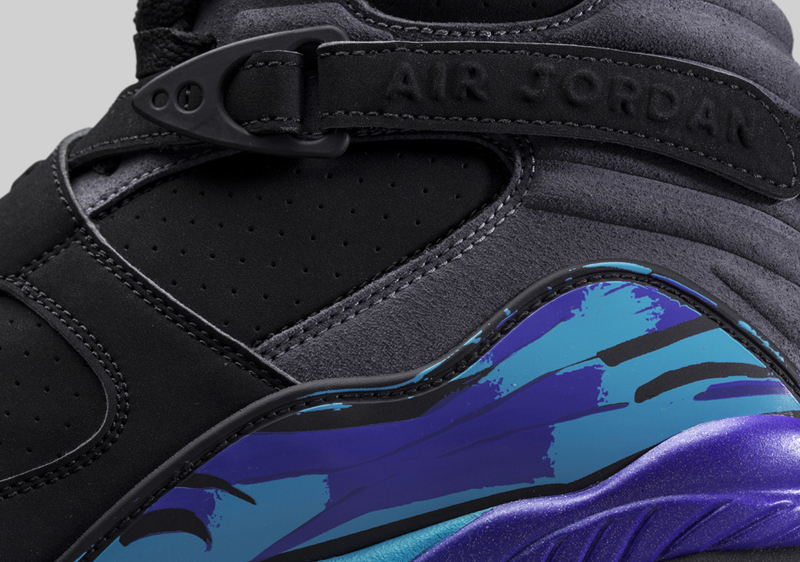 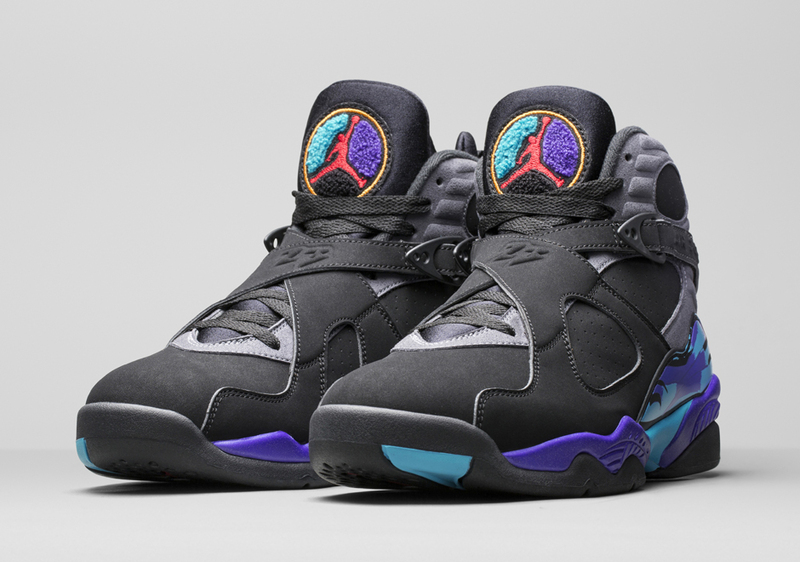 The rumors that the legendary Air Jordan 8 Aqua is returning are finally confirmed by the brand as today we get an official look at the famed eighth signature lifestyle “All-Star” colorway in full glory. 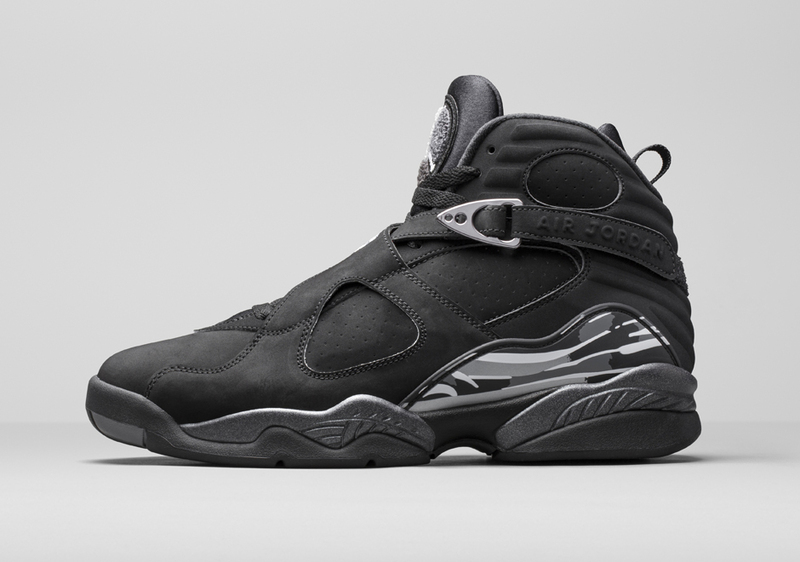 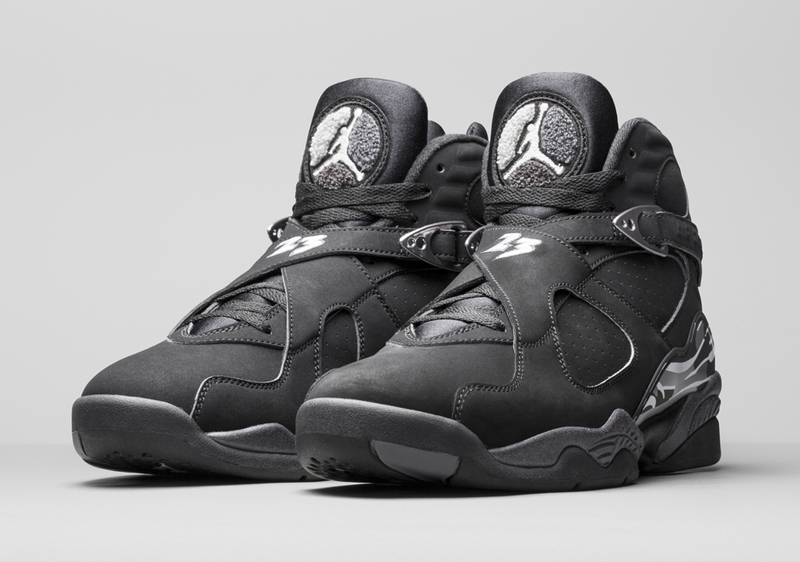 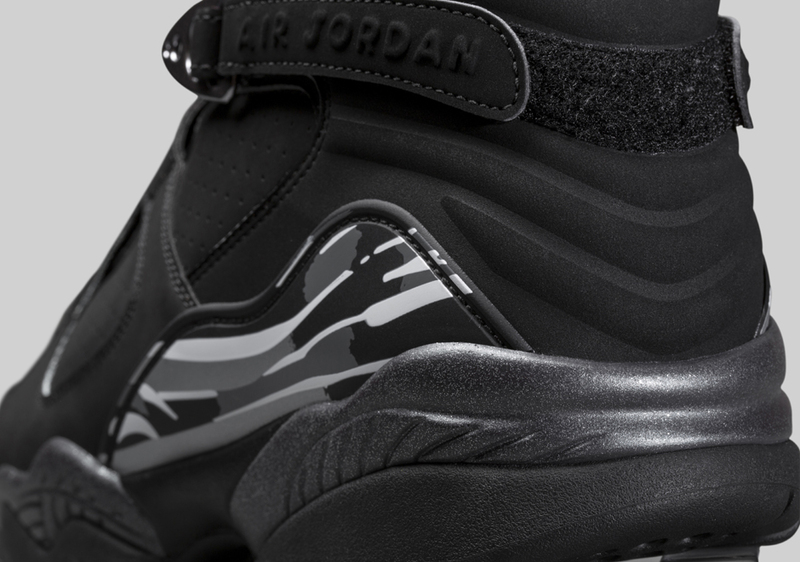 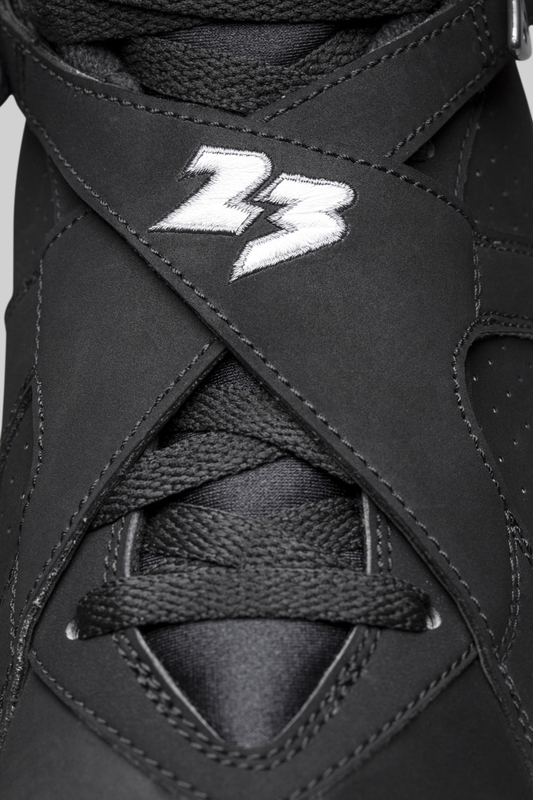 The retro+ Air Jordan 8 “Black/Chrome” will also see a return twelve years after it debuted in 2003. 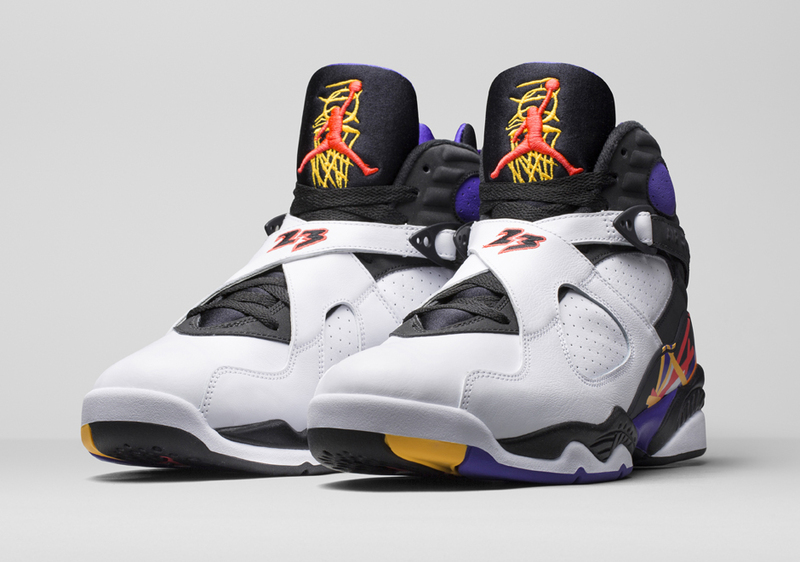 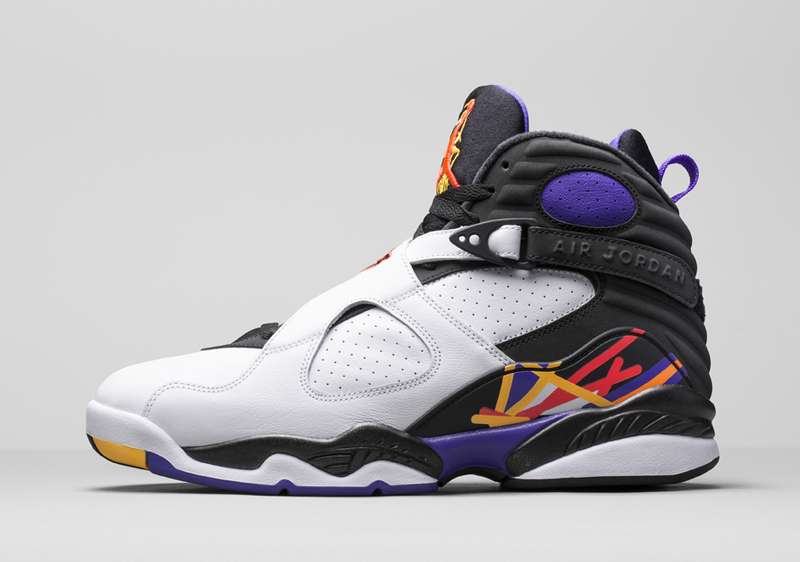 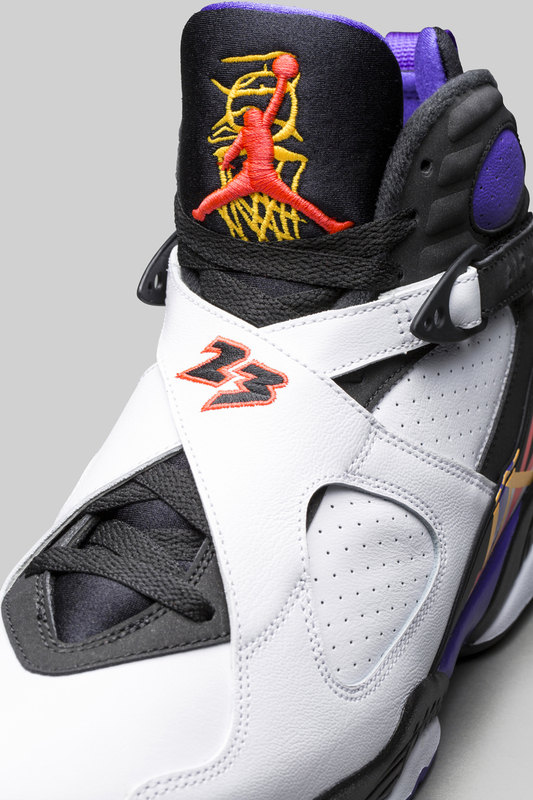 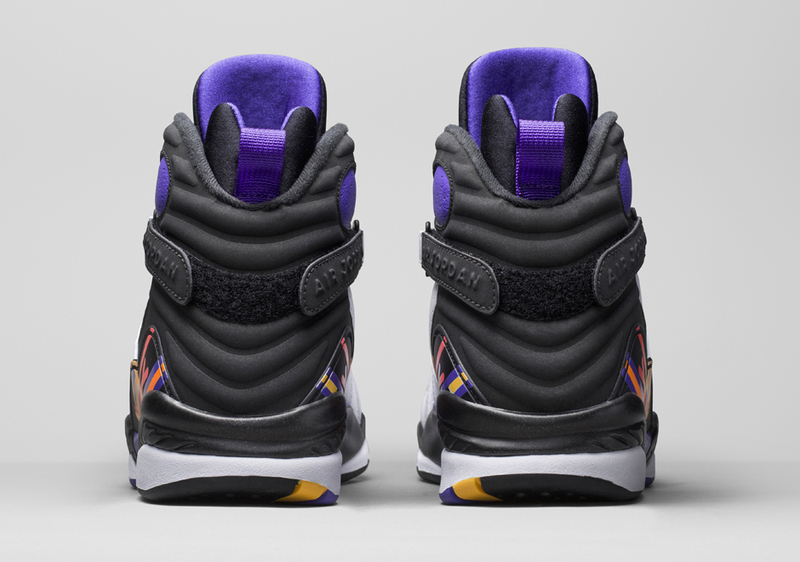 Then there’s the brand new Air Jordan 8 “Three Time’s a Charm”; the pair pays homage to Mike’s third straight championship over the Phoenix Suns in 1993 (during the series MJ was suffering from a foot injury, and instead of wearing a Nike prescribed shoe to help ease the pain, he continued to play in his signature). 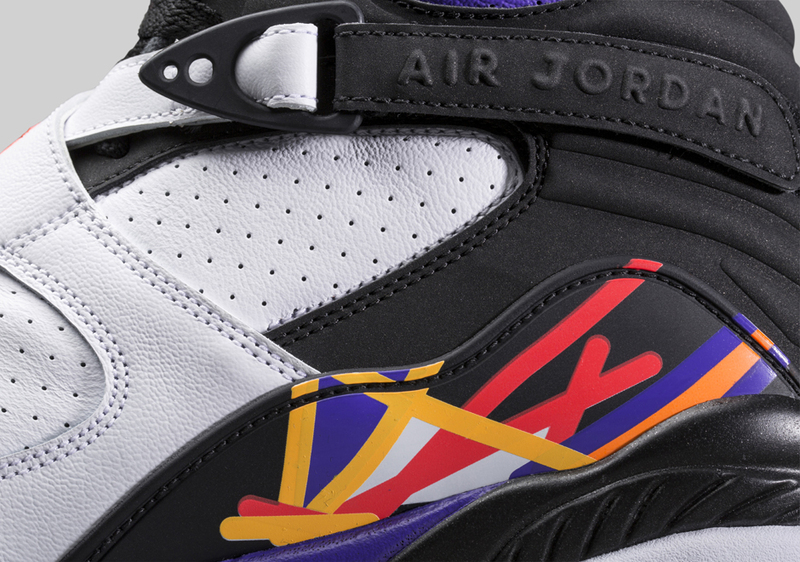 The colors used on the midsole utilize an accent from each of the 3 teams Jordan beat in each Finals (yellow for the Lakers, red for the Blazers, and purple for the Suns). 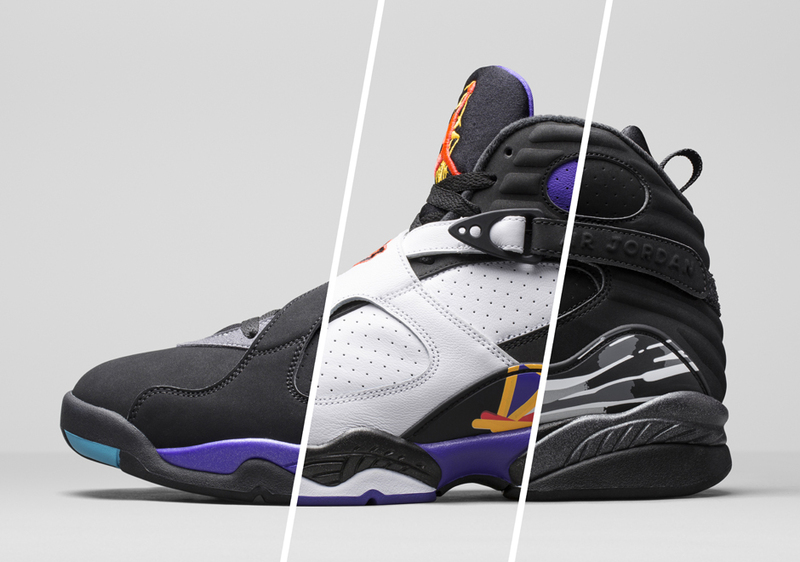 Stick around for a better view of the latest Air Jordan 8 collection and stay tuned for a release date.